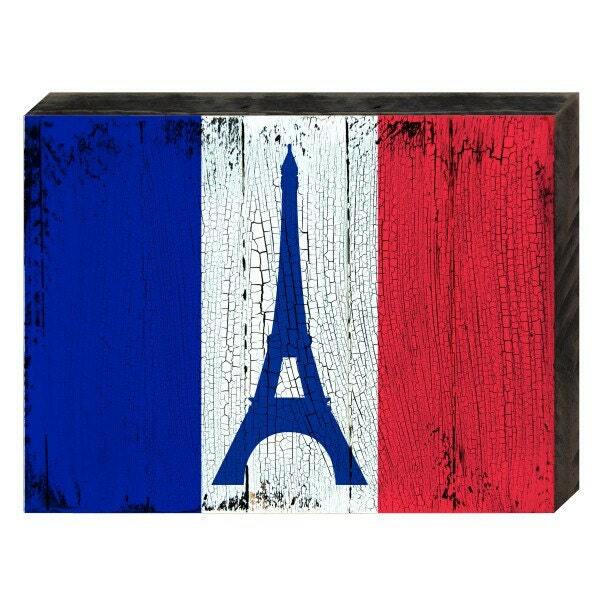 Add this FLAG OF FRANCE Rustic Wooden Block to your living space. This is Artistically Handcrafted Wooden item. It makes for a great gift for any occasion and great for home and garden decorating. Arrives ready to decorate your living space with! Multi use Item.